Ratatat have returned with their fifth studio album and first in five years, Magnifique, and in true Ratatat fashion it’s somewhat slipped under the radar. It’s been 11 years since they released their first album, and it seems like they’ve steadily built up a cult following without ever radically changing their sound. Some might view this as a bad thing, a failure to progress artistically, but Ratatat have pretty much invented their own unique sound and kept churning out what their fans want. As such, I view their albums together as a collective, extensive work rather than a series of individual albums. 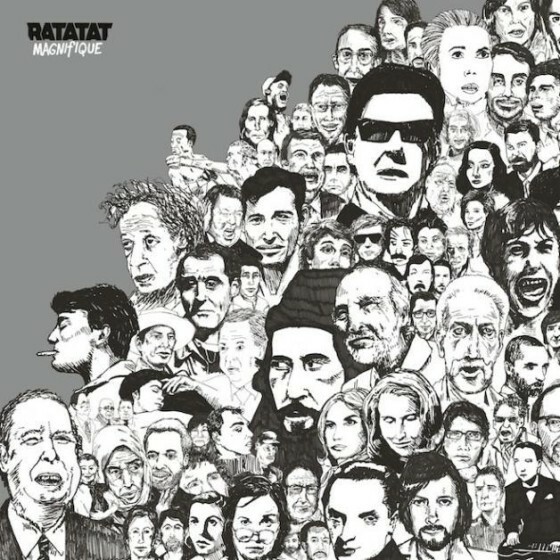 Essentially, if you like one Ratatat album you’ll most likely like them all. Although this album came out almost two weeks ago, I held back reviewing it until I’d given it a couple of listens through, which was definitely a good idea. The first single, “Cream on Chrome”, was released way back in April, and stirred up a fair amount of buzz. It’s the duo at their best, using heavy percussion and a simple little repeated riff to lead up to its huge chorus. Definitely the highlight of the album. They released the next single, “Abrasive”, a few months later in June, which was met with significantly less fanfare, and understandably so. When I first heard it I was surprised they chose it as a single; it seemed to be more of an album filler track. After listening to it more though, it grew on me, and while I do think it is now one of the stronger tracks on the album I think they could have benefited by choosing another single to release. When the album was finally released on July 17th, not too many people paid a lot of attention. Despite what I’ve said above, Magnifique still manages to give the listener something fresh. For every classic Ratatat driving riff with obvious early Daft Punk influence, there’s a dreamy, almost Hawaiian styled track waiting just around the bend. “Drift”, “Supreme” and “I Will Return” all provide a welcome respite from the intensity of some of the tracks like “Cold Fingers” and “Nightclub Amnesia”, one of the weaker songs on the album. Basically, if you’re a Ratatat fan you’ll enjoy this record. It’s nothing revolutionary, but if you invest your time into it you’ll get something out of it.